The small all-in-one camera that you can wear, mount, conceal, and take on adventures. Whether for fun, personal safety, or any other reason, having a body camera or car camera in today’s modern world just makes sense. In order to simplify the process, we created VENTURE – the only everyday wearable digital camera you’ll ever need. 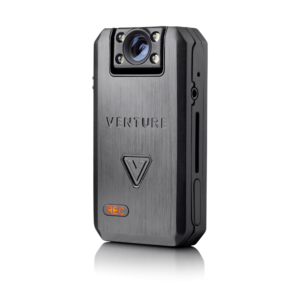 Lighter, smaller, and smarter than a GoPro, VENTURE's sleek and light design and rotatable lens allows for better quality, and more versatility so you can use your camera any way you want. Just clip it, press the button and go! You’re in control of what you film and what you share with the world! 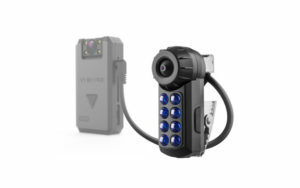 EYE VISION CAMERA: Clip on this external camera that plugs into the VENTURE for more precise Point-Of-View (POV) recording. Clip it onto your glasses, baseball cap, collar, vest, or anywhere else where a smaller device is needed. Your video will show exactly what you’re seeing from your own unique perspective without the added bulk. It’s so lightweight, you’ll barely know it’s there! 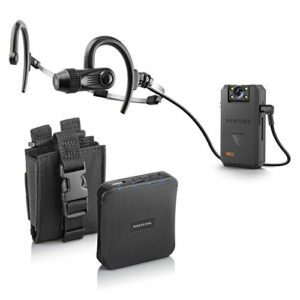 Expand the capability of your VENTURE body camera with this headset camera. 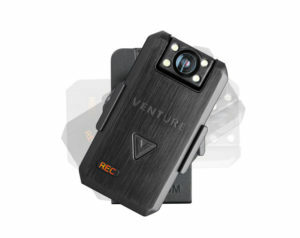 Once connected to VENTURE, the headset camera becomes the main recording camera and the onboard camera on VENTURE acts as a backup camera. Should the headset camera become disconnected, VENTURE’s camera resumes recording of audio and video. Ideal for building inspectors, police, security, or the average action hero. VISOR CAR CLIP: Use VENTURE in your car with this handy clip. Easy to attach, you’ll be able to seamlessly document your ride wherever you may roam. 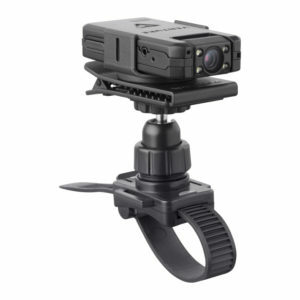 Clip it to your car's window visor and you instantly turn VENTURE into a car camera. SUCTION CUP MOUNT: VENTURE can be your new favorite car cam with this suction cup mount that adheres to your Snowboard, Skate board, or windshield. You can easily snap the VENTURE out and clip it on to use as a bodycam or mount it on your bike to ride onto your next adventure! Whether it’s mountain biking on your favorite picturesque trail or commuting with traffic in your own urban jungle, the Bicycle Handle Mount is there to document your wild and leisurely rides no matter where you like to bike. Easy to put on and take off, you can livestream your ride (Venture Wi-Fi model only) for your fans or record for later viewing so you can re-live your outdoor adventure. 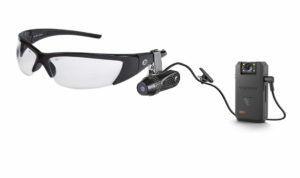 Plug the Night Vision Camera into the venture and see and record up to 20 feet in pitch black darkness! Capture nighttime creatures in the wild or film down that dark street for an added peek into the abyss. Great for science, safety and getting that cool shot at night! 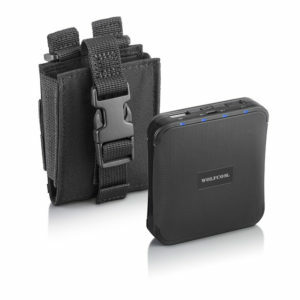 EXTRA BATTERY PACK: Get an extra battery pack for an amazing total of 24 hours of continuous non-stop recording. Usually worn on the belt, your extra battery pack will connect via a USB cable giving VENTURE an extra boost of battery life when it needs it most. Enjoy your filming interruption-free! Belt Case included free. 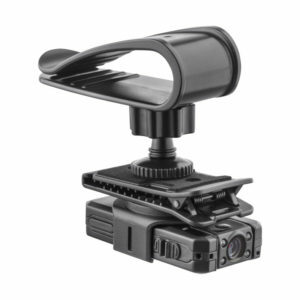 VENTURE's 360 degree rotating clip comes with your VENTURE and gives you multiple options for placement, allowing you to film from any angle you choose. 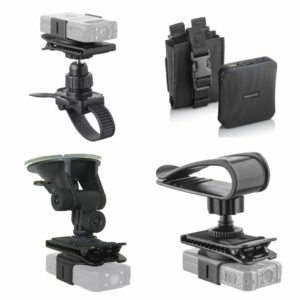 Just clip it on your clothes, car visor, or anywhere else you want it to go for hands-free filming! 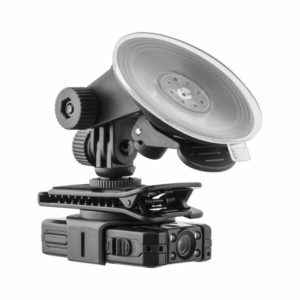 This set comes with all of the available mounts and a 10400 battery pack that gives you 24 hours of continuous recording. 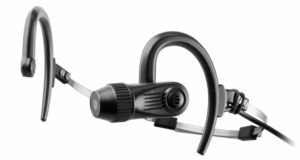 This set comes with a 10400 battery pack, that gives you 24 hours of continuous recording, and a Point of View headset attachment, giving you the ability to add different views, angles and mounting options for any purpose. 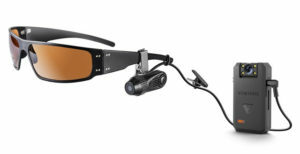 This VENTURE set comes with a POV clip-on camera for Point of View Recording, giving you the ability to add different views, angles and mounting options for any purpose.